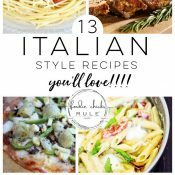 Sometimes the easiest recipes are the tastiest! 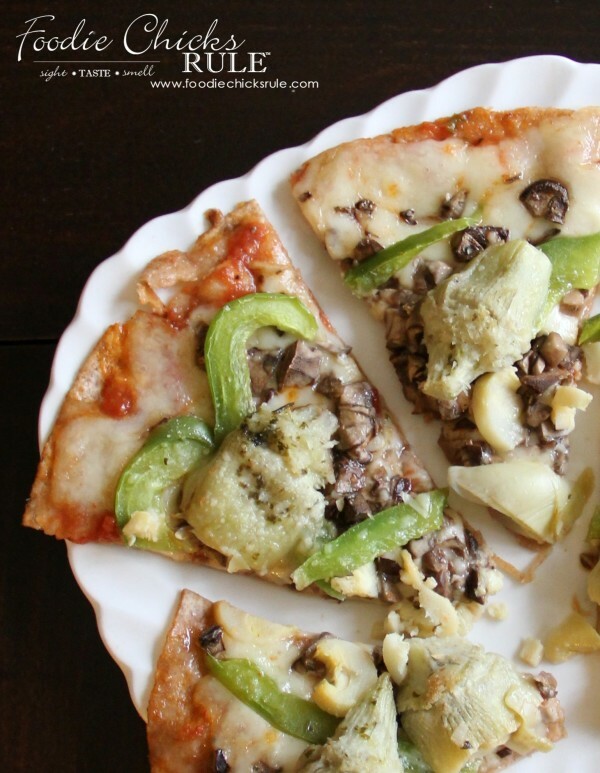 This healthy veggie pizza is both easy and tasty….and quick to throw together, too! I love quick and easy cooking. I think we probably all do! And some really tasty things can be done quickly and easily. 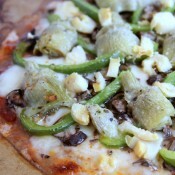 Like this Healthy Veggie Pizza I’m getting ready to share with you all today. It’s a favorite around here and the ingredient options are endless. Really…endless. Use whatever you love. 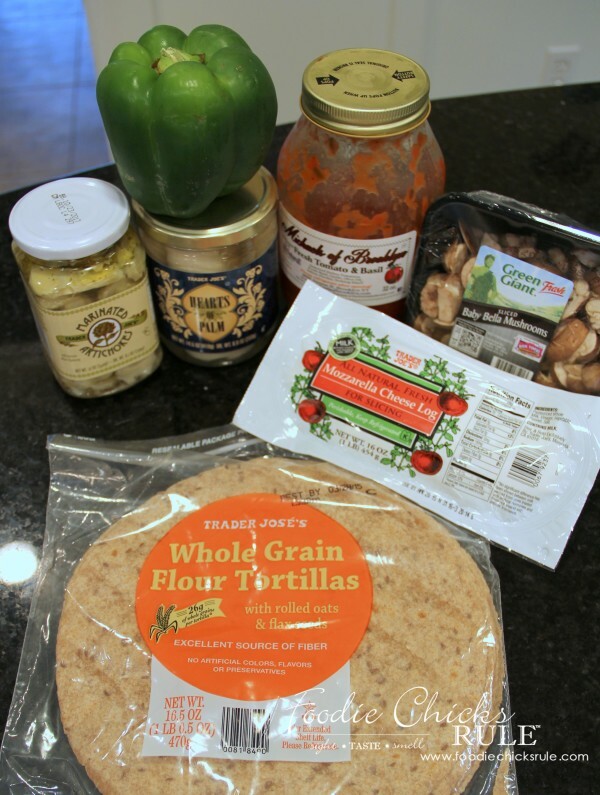 You can use any type of tortilla you like, gluten free, etc. I used these whole grain ones from Trader Joe’s. The mozzarella is also from Trader Joe’s and is made from cows not treated with hormones. Because of my cancer history, I try to stay away from anything with hormones. Plus, I think it’s best if everyone did the same and steered clear of hormone laden foods. There’s just so many reasons why you should. As I’ve mentioned before, I also don’t eat a lot of dairy or wheat. But on occasion I do still eat both. Another thing… I also try to buy food items in glass jars instead of cans. Most cans are lined with BPA (Bisphenol A) or some other such chemical that I really have no desire leaching into my foods (and subsequently into mine or my family’s bodies). BUT again, it’s hard. I do my best whenever and wherever I can. 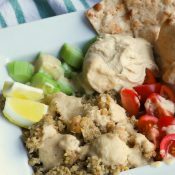 If you haven’t heard of BPA, I talked about it and you can read more about it, here in my Quinoa Black Bean Dip post. And by the way, tomatoes, tomato juice and sauces are very acidic and will leach much more of those chemicals into your foods from the cans. So at least try to avoid those in cans, if at all possible. Do you see that list of ingredients? That’s the type of ingredient label I like to see on the products I buy. Short and sweet and I know what every single item is! Some of those labels, well, it can be overwhelming the amount of things they put in some of our foods. 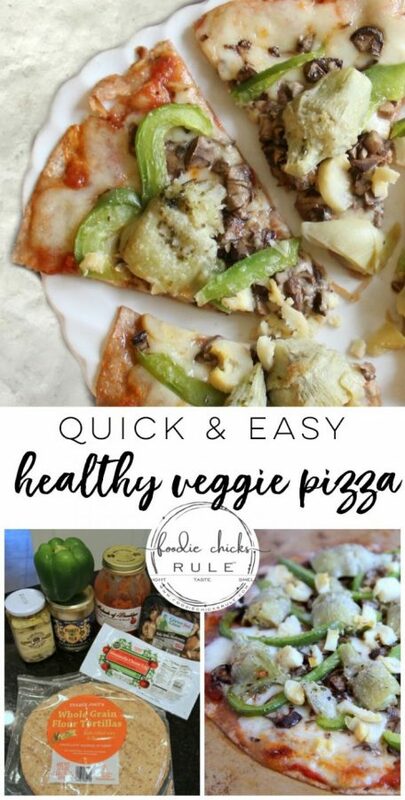 I had this sauce leftover from another meal so this healthy veggie pizza is the perfect way to use it up. I didn’t toast my tortilla beforehand so it will be “soft-ish” when done. 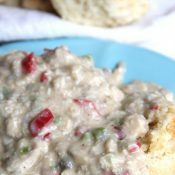 If you would like it crunchier, be sure to toast it in the oven for about ten minutes before you layer your ingredients to bake. Next, layer the garlic, cheese (whichever you like) and toppings (again, whichever you like). I used chopped fresh mushrooms, sliced green peppers, artichoke hearts, sliced hearts of palm and a sprinkle of Parmesan and seasonings. Bake at 350 until slightly golden on top. You can broil for a few minutes at the end, if you like. 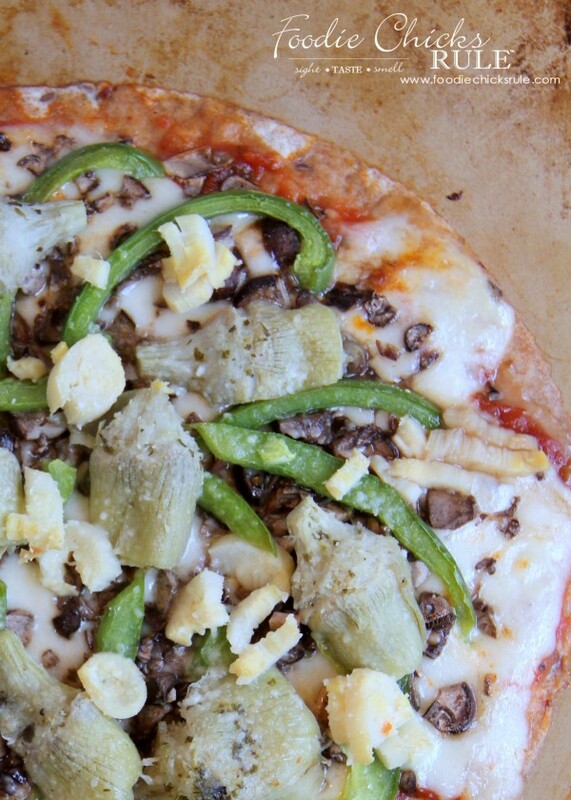 Then remove this yummy healthy veggie pizza from the oven and enjoy. It’s so fresh and healthy tasting. One of my favorite meals. 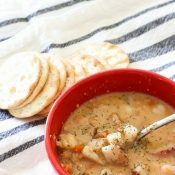 The mix of flavors on this one is fabulous! Like I mentioned, you can use anything. 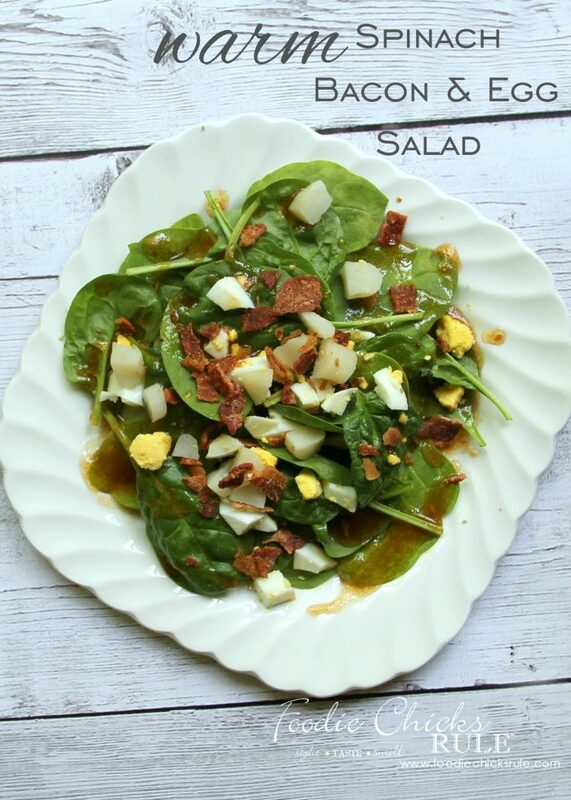 I will also sometimes use baby spinach leaves, fresh tomatoes, feta cheese, etc, etc. 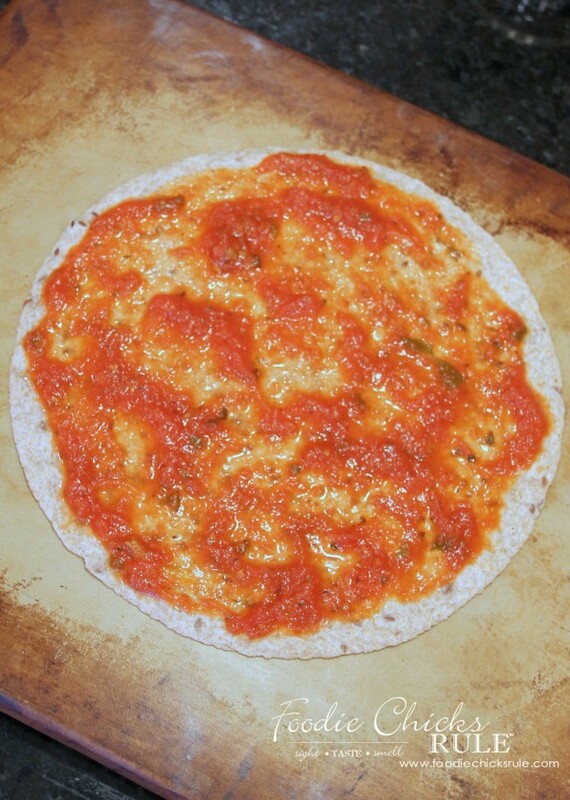 Lay tortilla on baking pan or stone. Spread tomato sauce over top. 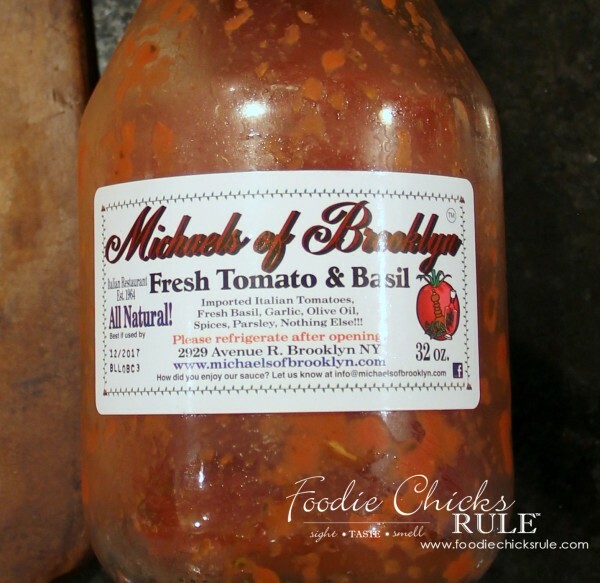 Sprinkle pressed garlic over sauce along with seasonings. 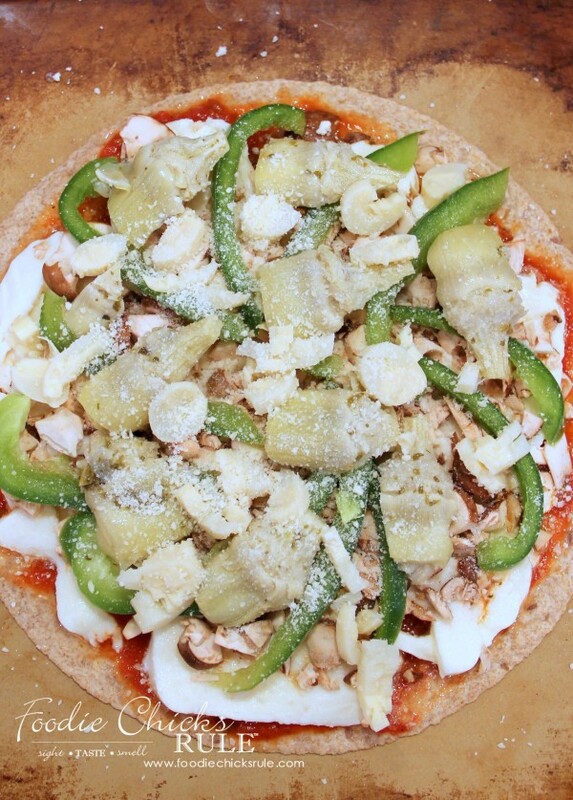 Layer fresh mozzarella slices, then mushrooms, green pepper, artichoke hearts and hearts of palm. Bake at 350 until golden, approx 15 minutes. 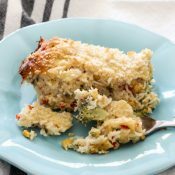 For a crunchier crust, toast the tortilla in the oven for about ten minutes before layering ingredients. 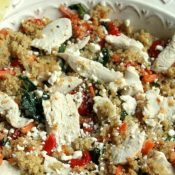 You can use anything from baby spinach, feta cheese, broccoli, etc. You can broil for a few minutes at the very end for a crunchier topping. Sounds yummy! Katie and I make these for a quick dinner occasionally. But we haven’t had them for a while now…. looks like it might be time. This is so easy, aren’t they?!! The stone really doesn’t make it crispier but toasting it beforehand does! Try that. Great name for your food blog Nancy – no second guessing whose blog it is! 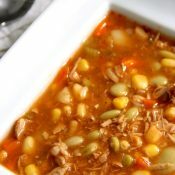 So far the recipes you’ve posted look delicious. 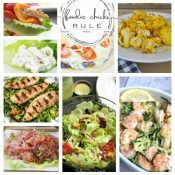 You will definitely be one of my Go To Sources for recipes :) Congratulations on the new blog! Thank you Marie! :) And nope! No question it’s me! I just hope I can keep up with both! ;) Time will tell! Looks so good! Max and I love pizza like this. I just printed it for us! 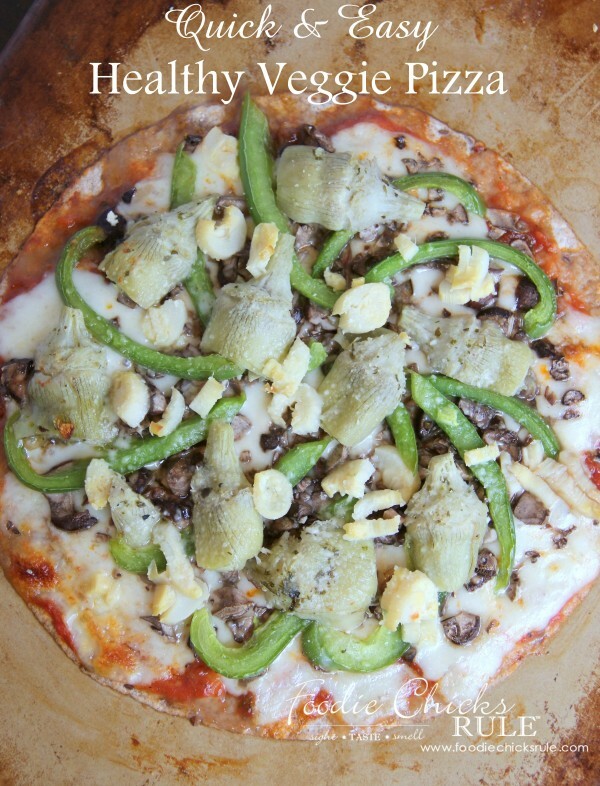 I’ve never thought about using a tortilla for a pizza crust. What a great idea! 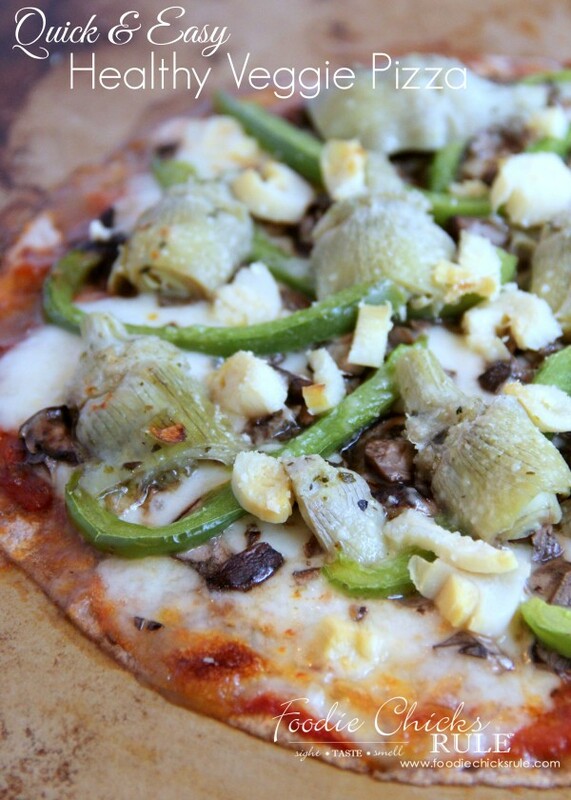 We love a veggie pizza and I’m sure to try your version very soon. Oh my goodness, this looks delicious. 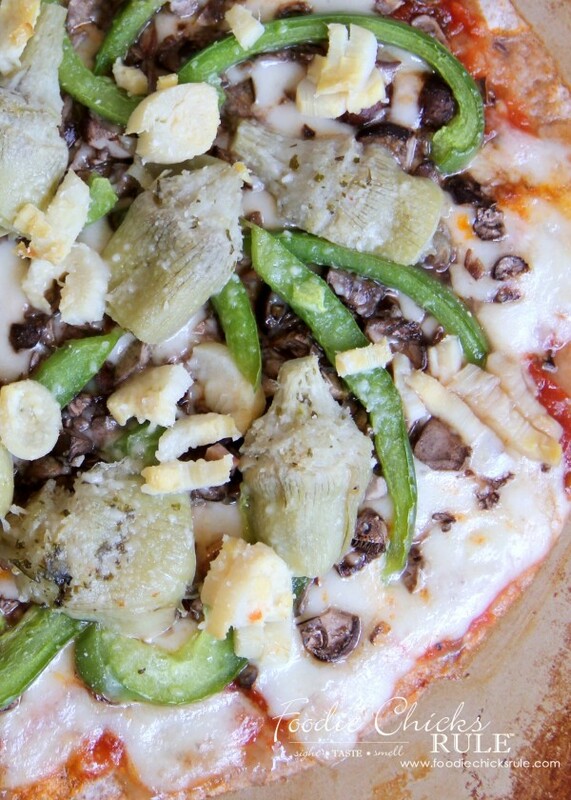 I love how every little space of this pizza is packed with goodness!